Nick Suzuki may have been held off the score sheet in Peterborough a few weeks ago, but had a hand in each of Owen Sound’s goals in a 4-3 win over the Petes on Saturday, their sixth consecutive victory. The Petes got off to a quick start, pushing play almost immediately into Owen Sound’s end. The pressure was short lived, though, as the Attack would take over for the next while. It took Nick Suzuki just 47 seconds to show off his elite abilities. 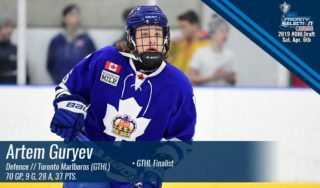 He broke into Peterborough’s zone on the left wing, appearing to look to shoot. Instead, he held the puck, cut around Wells, and slid the puck between Wells and his post, and into the net. Brady Lyle and Kevin Hancock were credited with assists. Three minutes later, Suzuki was back to dishing pucks to his teammates. Again, with patience, he waited in the slot for an open Hancock. Hancock weaved his way through the Petes and lifted the puck backhand over Dylan Wells to extend Owen Sound’s lead to 2-0 at 3:47. The squads exchanged slashing infractions, by Trenton Bourque and Austin Osmanski, in the middle of the frame. Both penalties were killed off, though Owen Sound did garner a couple of shorthanded opportunities. With just under two minutes left to play in the first, the Petes were able to break onto the scoreboard. After being forced out of Owen Sound’s end, Pavel Gogolev picked up the puck in the neutral zone and went to work. He skated through four Attack as he drove toward Mack Guzda. Running out of realty, he put the puck to the net. It bounced off of Ethan Szypula and over Guzda, bringing the Petes within one at 18:09. The Attack led 2-1 on the score board, and 15-8 on the shot clock after 20 minutes of play. The first penalties of the stanza overlapped as Gleb Babintsev and Gadjovich were both charged with hooking. Neither team could convert on what would be 40 second power plays. Saturday’s game became Gogolev’s sixth multi-goal match up of the season when the sophomore forward tied the game at 2. Feel pressure from the Petes behind the net, the Attack tossed a loose puck to the slot in desperation. Gogolev, on the doorstep, roofed the puck over Guzda at 12:49 to even the score, with Zach Gallant picking up an assist. The Attack continued to feel force from the Electric City Kids, taking another penalty just 20 seconds after Gogolev’s game-tying goal, but were successful in keeping the Petes from striking again. Keeping trend, the opponents exchanged calls once again. This time is was Szypula called for slashing, and two seconds later, Gallant penalized for interference following a faceoff. Eight seconds into 4-on-4 play, Owen Sound jumped back in front on Hancock’s second of the night. After an Attack point shot floated over the net and bounced into the corner, Hancock fired the shot from just above the goal line to the net, squeezing the puck through a small hole between Wells and his post at 18:32. The opponents would, yet again, earn overlapping penalties. Aidan Dudas was charged with slashing 12 seconds before Nikita Korostelev was called for interference. The 3-2 scored carried through the penalties to the end of 40 minutes, with the Attack still ahead on the shot clock, 22-12. The third was kicked off with an altercation between Alex Black and Chase Campbell off of a faceoff less than two minutes into the period. Peterborough continued to maintain control of the play before the Attack converted on their first valuable scoring chance of the frame. Cole Cameron’s point shot had eyes to the back of the net at 6:38, extending Owen Sound’s to 4-2. The Petes weren’t done, though, as Korostelev put away his 25th of the campaign. After Gallant pushed the puck into the neutral zone, Korostelev dragged the puck into the circle and sent the puck to the top corner to bring his club back within 1 at 10:06. Owen Sound began to push back late in the period. In a scramble, Babintsev misplayed the puck into the stands, sending him back to the box for delaying the game at 15:58. After a successful penalty kill, Wells was called to the Petes bench so that an extra attacker could hit the ice in an attempt to even the score once again, but to no avail. 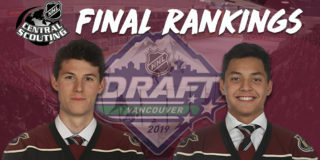 Nick Suzuki, Pavel Gogolev, and Kevin Hancock were named the games first, second, and third stars, respectively. 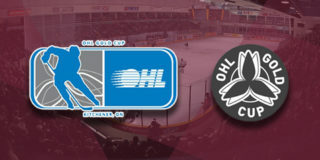 The Petes are back in action on Thursday, March 1 when they host the London Knights. The game will be preceded by an official citizenship ceremony that will welcome 40 new Canadians. Tickets are available starting at $8 through the Collins Barrow PMC Box Office, online or, by phone at (705) 743-3561. 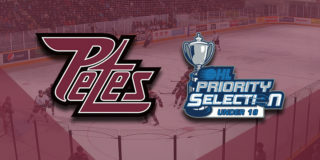 Looking to catch more Petes hockey in March? 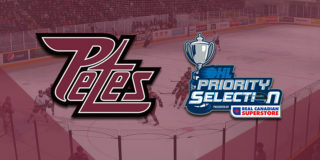 The brand new Petes Playoff Push Flex Pack gives fans four regular bowl tickets to use at any game in March, along with a voucher for four popcorns and four pops, for just $69.99 (a $124 value). Visit Steve at the ticket tent in the North Lobby, visit the Box Office, or call (705) 743-3681 ext. 263, to get your package.